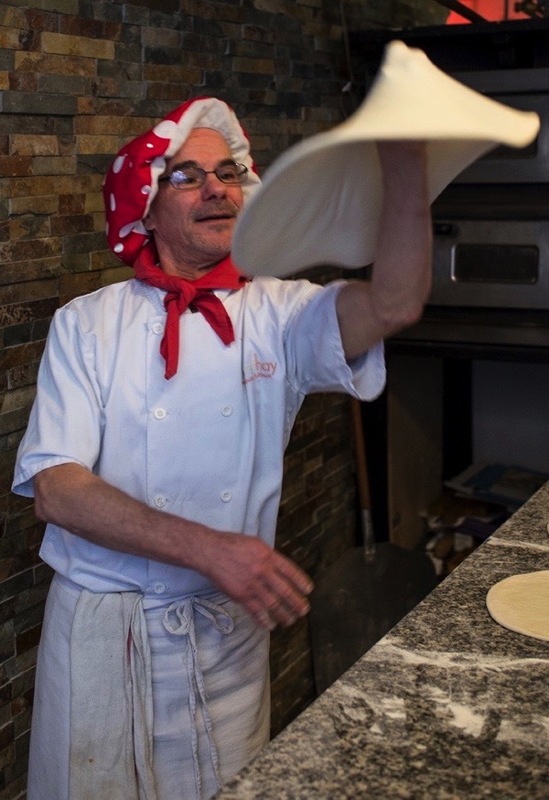 Over the last year, as I have walked up and down Hanbury St each day, I have grown aware of the indefatigable presence of Melis Marziano, known as ‘Gigi,’ the Pizza Chef at Vesuvio, Pizzeria & Restaurant. 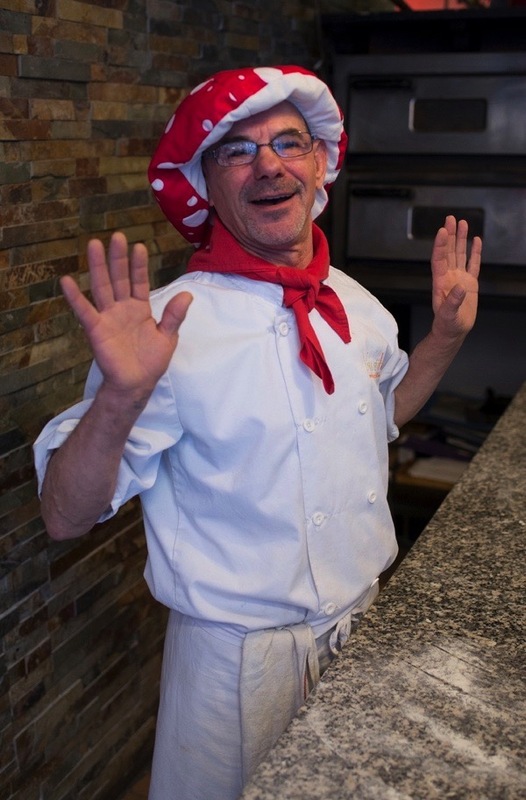 At first, he was barely perceptible at the edge of my vision but, as months passed, I came to notice Gigi more frequently. 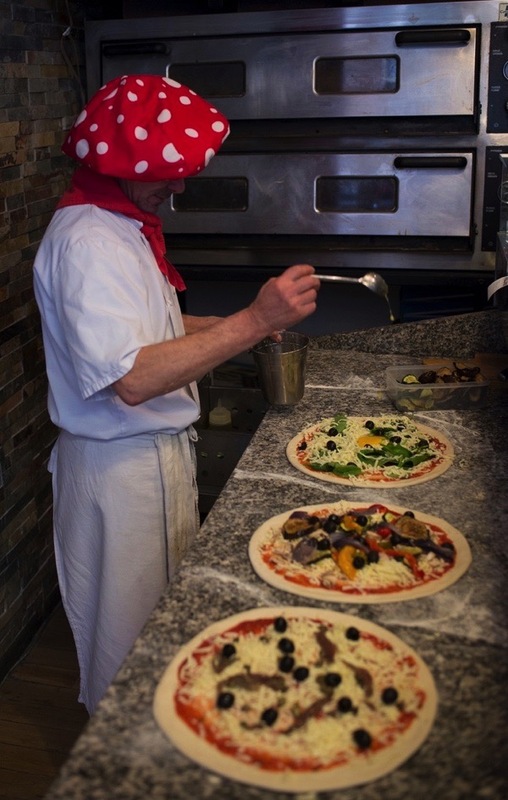 I realised that, however grim the weather or low the temperature, you always can rely upon the high spirits of Gigi, the diminutive chef, skylarking in his curious outsize spotted red cap which gives him the look of a toadstool come to life. Thus, almost imperceptibly, Gigi became part of my landscape. 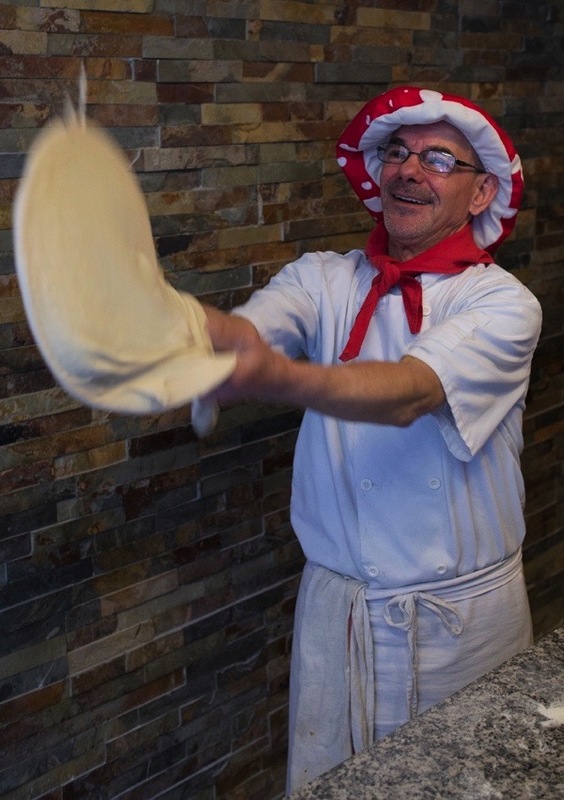 So this week, Contributing Photographer Sarah Ainslie & I went along make Gigi’s acquaintance and admire his pizza-throwing antics. 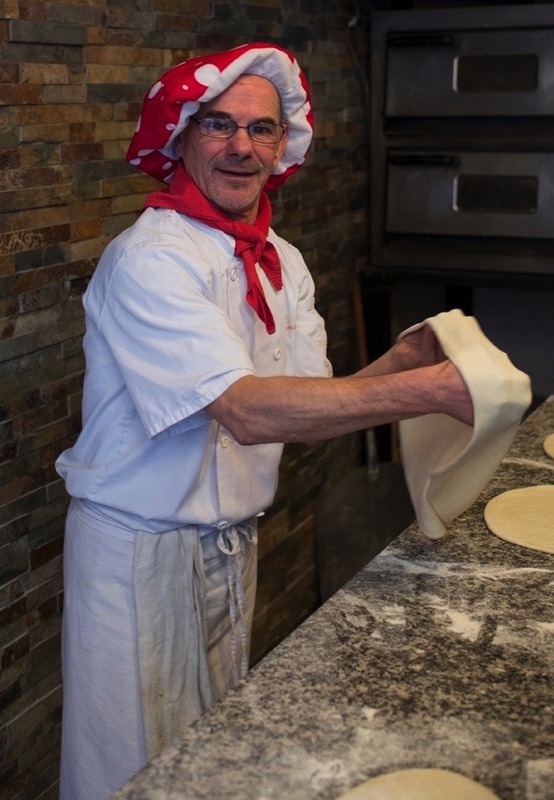 Immediately, we discovered we were in the presence of a maestro with an independent spirit who has enjoyed a globe-trotting career thanks to his natural culinary talent and bravura performance skill. 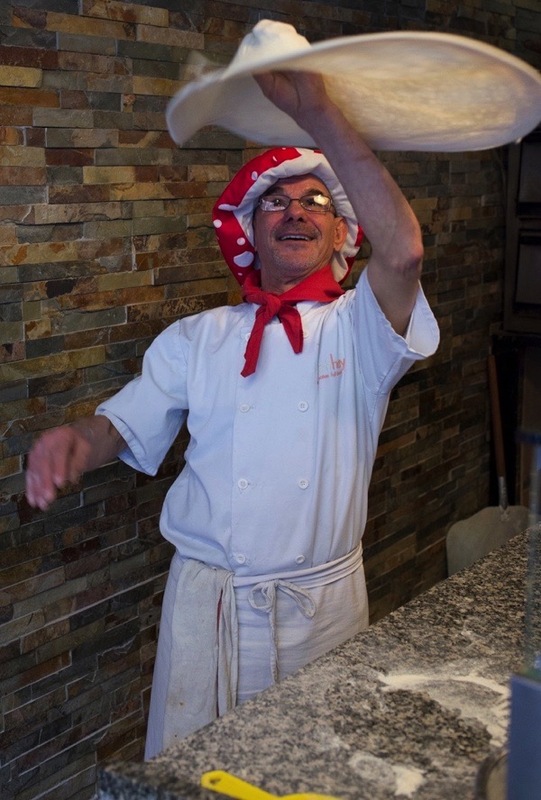 “My parents were bakers in Sardinia and I worked closely with them so, by the time I was thirteen, I was experimenting – baking bread with cheese and tomatoes. 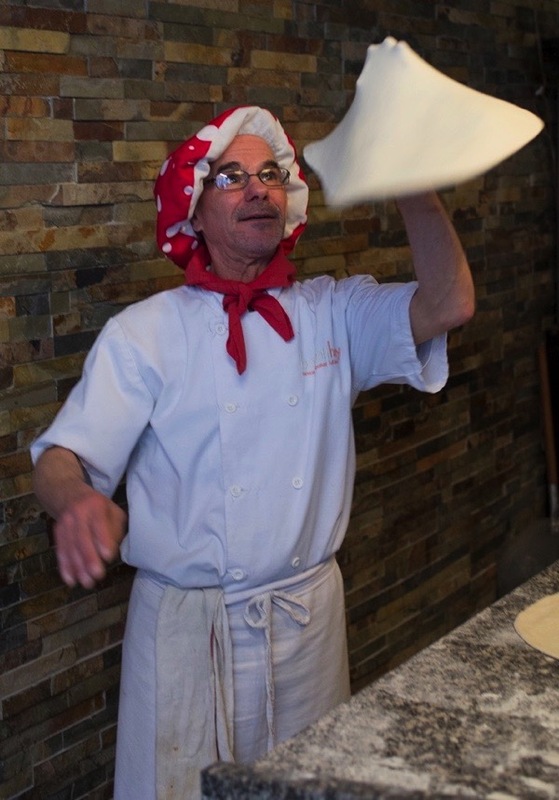 I had six brothers and six sisters and I played a lot of football but, at fifteen, I was making pizza and I have been doing it for forty-five years now. 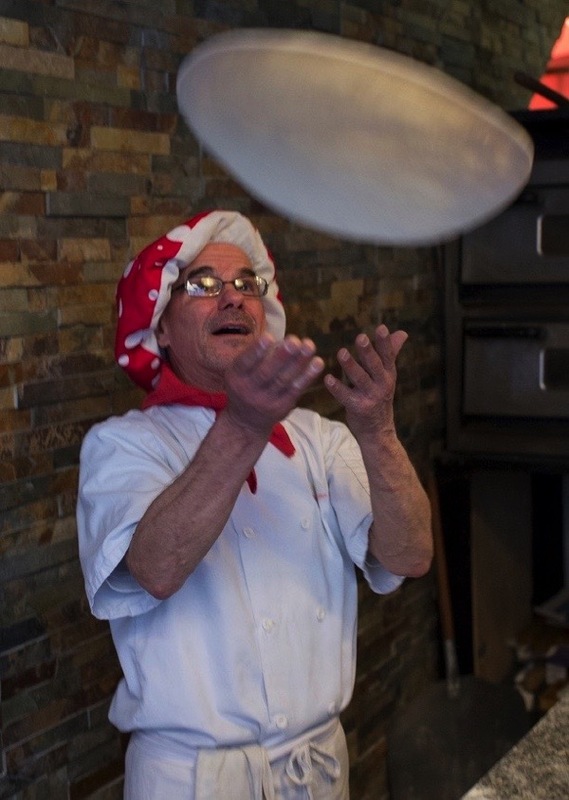 While delivering this monologue, Gigi took four lumps of dough and stretched them out into flat rounds, then he spun them in the air, tossing them and catching them, spinning each one on a single finger as if it were a needle upon an inverted record. 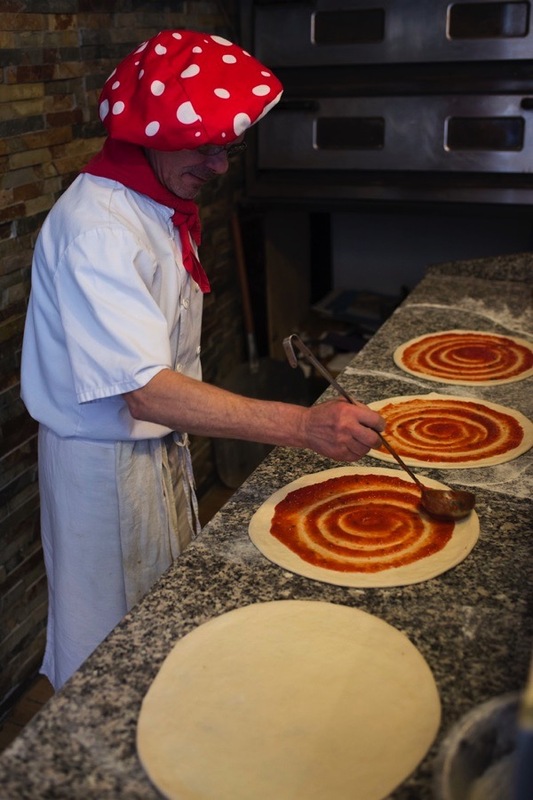 Then, laying his perfectly-even circular pizzas down, Gigi spread tomato sauce on each one with a flourish, making the design of a bull’s eye before applying different toppings and then slipping them into his oven with a baker’s shovel. It was an effortlessly impressive performance by Gigi, captured by Sarah Ainslie’s lens while I undertook a culinary investigation which consisted of eating an entire pizza. And I can confirm it tasted pretty good too, with just the right balance of sweet tomato and tart tangy cheese. 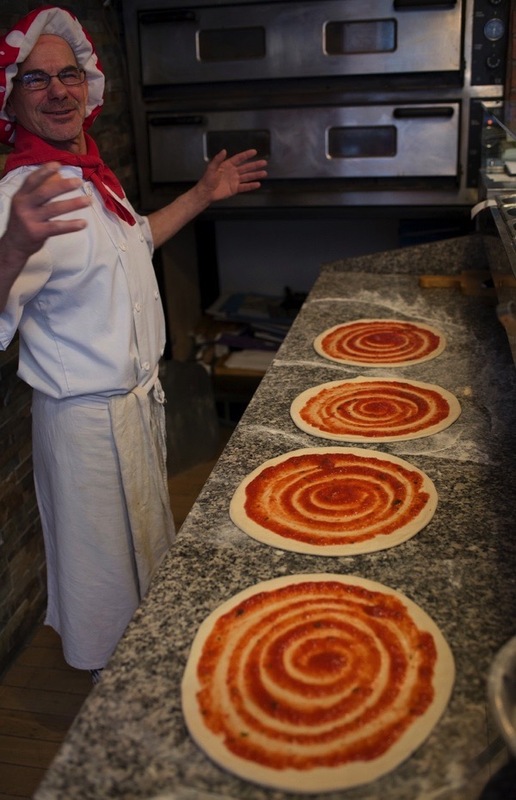 This is the everyday genius of Gigi, Spitalfields’ irrepressible pizza chef. 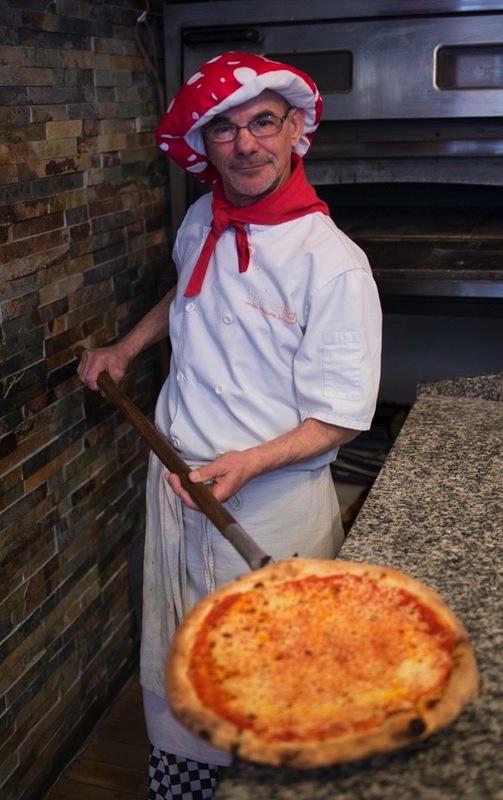 Now that’s the place/person to buy a pizza from! Thanks for enlightening us. Wow, it looks simple, but I believe it’s delicious…! And I don’t suppose you and Sarah ever ate a bite — ? Have you done an essay about Sarah? I admire her work no end, and from looking at her web site, I see it was nearly inevitable that you came into each other’s orbits. I’d love to see one of your chapters devoted to her, surely hers is an interesting story. So many thanks for my daily trip to Spitalfields. 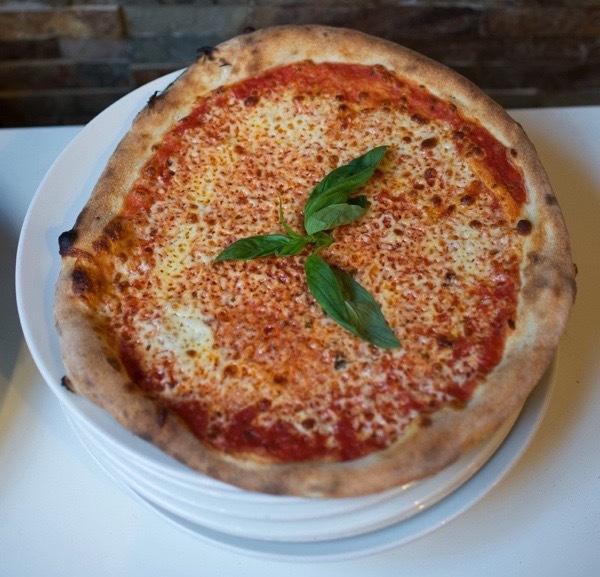 lovely piece, lovely photos, lovely man and by the looks of them lovely pizzas!